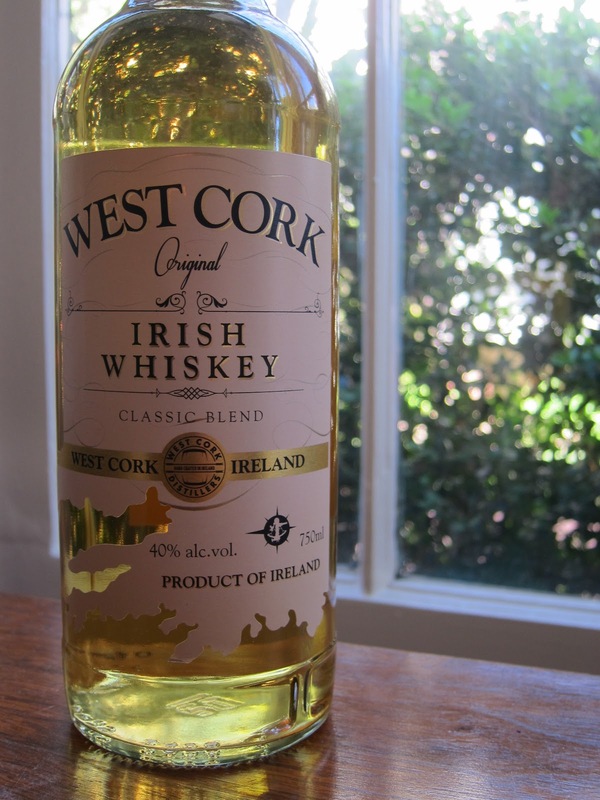 West Cork Original (%40.0): It would be nice to find another every day Irish whiskey just or a change. For the longest time I can remember I've been a Powers guy... When I needed a cheap glass of whiskey late night to accompany my pint of Guinness or when I wanted to brew a cup of Irish coffee on a Sunday morning while watching the soccer game (damn time difference...) my choice had been always Powers... But now I might have found a very promising alternative sitting on my desk. It is an Irish blend bottled by West Cork Distillery which is pretty much a new kid in the exploding Irish whiskey scene. Since their spirit is not ready yet for big volume releases they also act as an independent bottler to establish their brand and outsource their whiskey from time to time. The distillery started as a small project in 2003 but then moved in 2013 to its new location in Skibbereen, West Cork. They distill grain and malt whiskies as well as vodka and gin and also blend liquors and whiskeys. This one is the cheapest blend in their portfolio with a price tag of $25 and bottled at 40% abv. Color: White wine, pale yellow with nice oily legs around the glass. Nose: Vanilla, green bananas, fresh pineapple slices. Chalky: Clay dust, dry sand and straw bales. Bitter greens and vintage magazines. It carries all the ex-bourbon cask notes but at a minimal level. The whiskey is like a song you liked the melody of but you want to listen to it louder to judge better since you barely hear what is going on in the background. I wish I had a volume knob to reach... It also noses like a young Lowland Scotch whisky but again way at the back. Palate: Very young and kinda thin in texture... Hard to believe that it has 40% abv. Tastes like watered down more. It took me three sips and a lot of thinking to start to write down. Same problem I had at the nose: Everything is incredibly low in volume... White pepper, honeycrisp apples and Bartltett pears. Young corn whiskey, dried grass and simple syrup. Finish: Hardly any... Maybe a little mild peppery burn on either side of the tongue but that's about it. Overall: Very interesting... And I know that "interesting" is not the best adjective you can come up with to describe anything. I will be using the same metaphor again but from the nose to finish it feels like a very promising music track you cannot hear loud enough. Maybe it's the low abv, maybe it's tired casks the whiskey was aging in or maybe it is distilled at a higher proof than we are generally used to but the whiskey simply doesn't stand out. 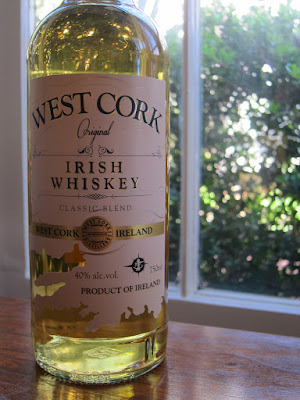 Bland, flat and kinda boring... West Cork has also a decently priced 10yo single malt in their portfolio. I might give that one a try sometime later.